Have you ever wanted to live life by the lake? Want to have a little fun in the sun? Table Rock Lake is all about having the convenience of only being minutes away from fun for the whole family! Healthy living with many activity centers, hiking and biking trails, and beaches at your finger tips. Moonshine beach is one of the prettiest and most popular designated swimming areas in the Branson. Unlike Lake Taney Como, Table Rock is always 15 degrees cooler and much better patrolled. Being on Table Rock Lake, you have entertainment right down the road! Only a few miles away, the Showboat Branson Belle is docked at the beautiful White River Landing.You are far enough away from town to enjoy the peace an quiet, but close enough to easily access Branson or Hollister to meet your shopping needs. Are you wanting a kind of home that offers these things, as well as a beautiful view, immaculate furnishings, and cozy feeling? 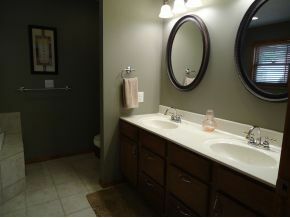 If so, I have a home in mind for you! 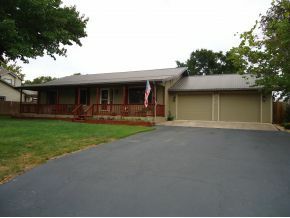 Enjoy the peaceful location of this immaculate 3 Bedroom 2 Bath, lake view home. 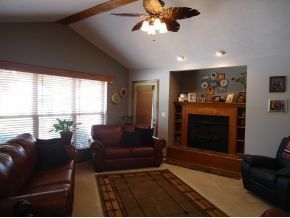 Family friendly area where you can walk to the lake, & enjoy getting to know your neighbors. There are boat launches, nature trails, and entertainment are close by too! The home’s interior features a open floor plan, hearth room with fireplace, granite tile counter tops, and custom oak cabinetry. Drawing your attention to the yard, it features a yard sprinkler system, privacy fence, water softener with whole house filter & softener system, large covered front porch, crawl space with storage area that can also double as storm shelter. 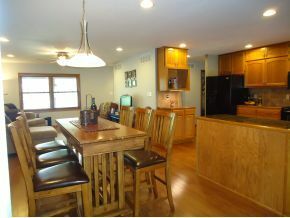 This home comes with a 1 yr home warranty, & much more! Interested in seeing this home? Feel free to contact me, or take a look at my website for more beautiful homes!